But with a twist! It has a little twist. Twist and shout. But not the shout. 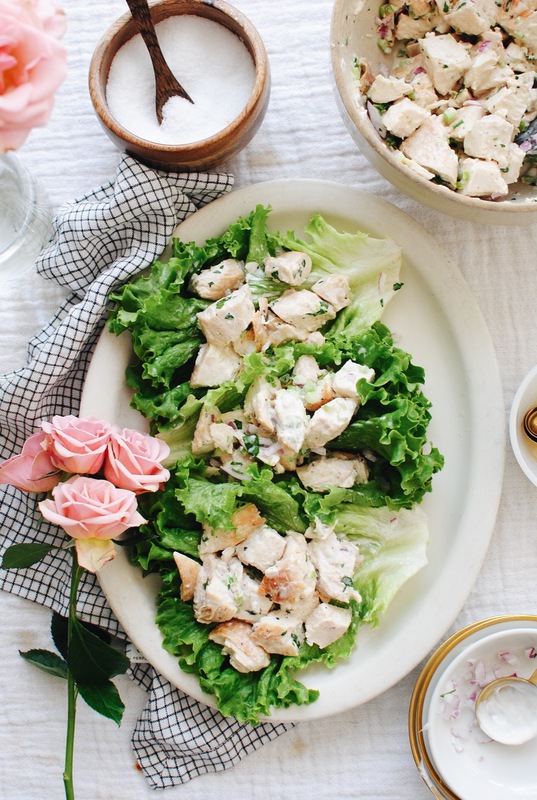 Chicken salad is one of those classics that I think about WAY too much. I could eat it constantly. Matter of fact, Aaron shares the same obsession and often picks up chicken salad from our neighborhood grocery store, because it’s CRACK. They put local honey in it, and it’s thick and chunky and you want to scream in its face, it’s that good. So I made my own version for you! Thing is, I’ve been making chicken salad for years, but this newest edition is slightly more refined than previous chronicles. OKAY, chicken salad is not chicken salad without mayo. The end. This version is a little more forgiving on the waistline with half mayo and half Greek yogurt. If you want all Greek yogurt, make your life happy and do it. But I prefer that unmistakable creamy tang that mayo adds. Also, honey! I added honey because my grocery store does it and it’s pure insanity. 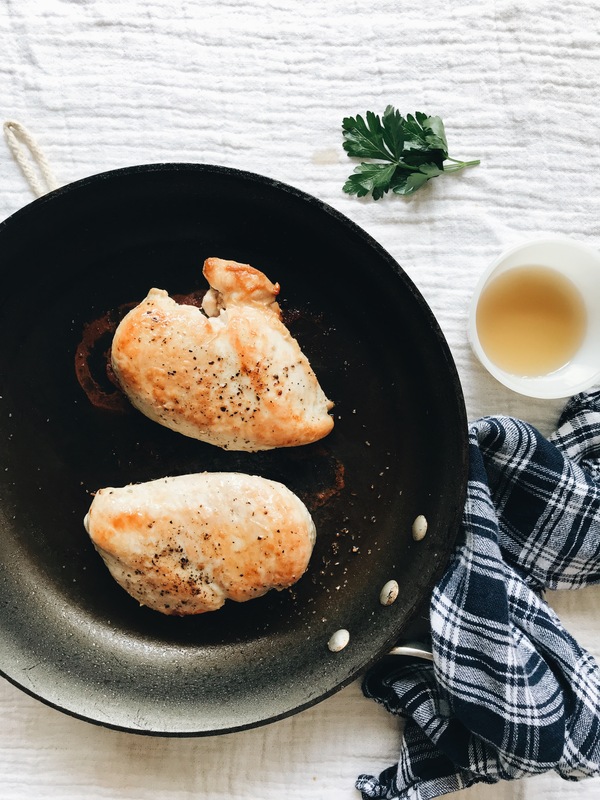 So another twisterson – I seared the chicken! You may absolutely stick to tradition by boiling and chopping, but there’s something so polished and unexpected in the flavor with browning. SO BROWN IT. A bit of chopped parsley, vibrant! Honey, yogurt and mayo, yassss. NOW, the trick is to let the chicken cool off after you chop it. I stuck mine in the freezer for about five minutes, before adding all the goop to it, and it was glorious. You can eeeeeven let it sit a bit more in the fridge before serving and cartoon birds will sing in your windowsill. 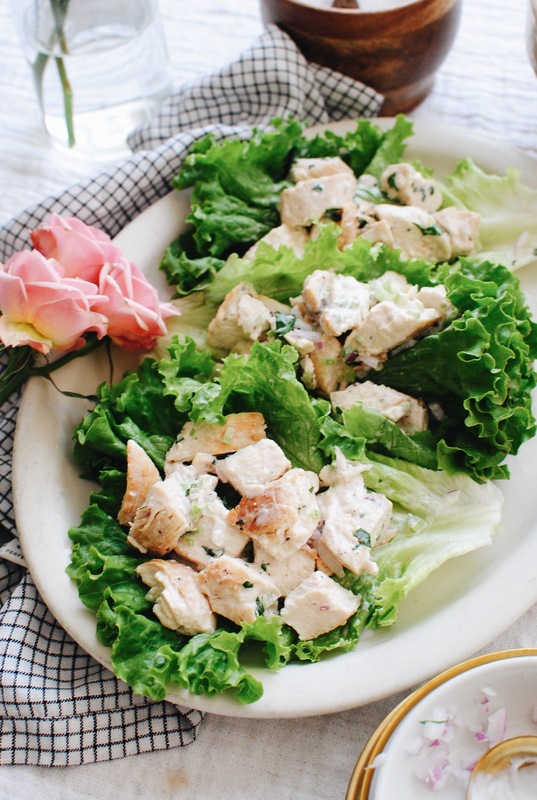 Serve it piled into lettuce cups. Serve it as a mound on grainy bread. Serve it in a giant spoon straight into your face. And maybe cut the chicken into smaller chunks. I have no idea why my hacking was so massive here. In short, it’s fabulous. Not overly heavy in the creamy factor, but still coated, luscious, tangy and seductive. Also, you don’t have to put a pink rose on your platter. I’m just obnoxious. Heat the oil in a large skillet on medium high. Season the chicken on both sides with salt and pepper. Sear on one side for 5 minutes. Flip and sear another 4 minutes, or until cooked through and the chicken is browned on both sides. Let cool for five minutes, then chop. 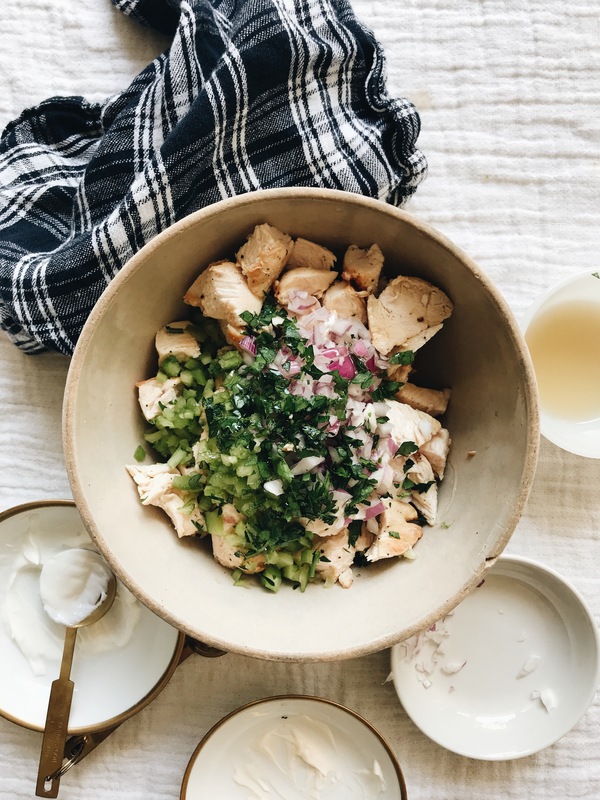 At this point, you can even stick a bowl of chopped chicken in the freezer for 5-10 minutes, just to help it really chill. 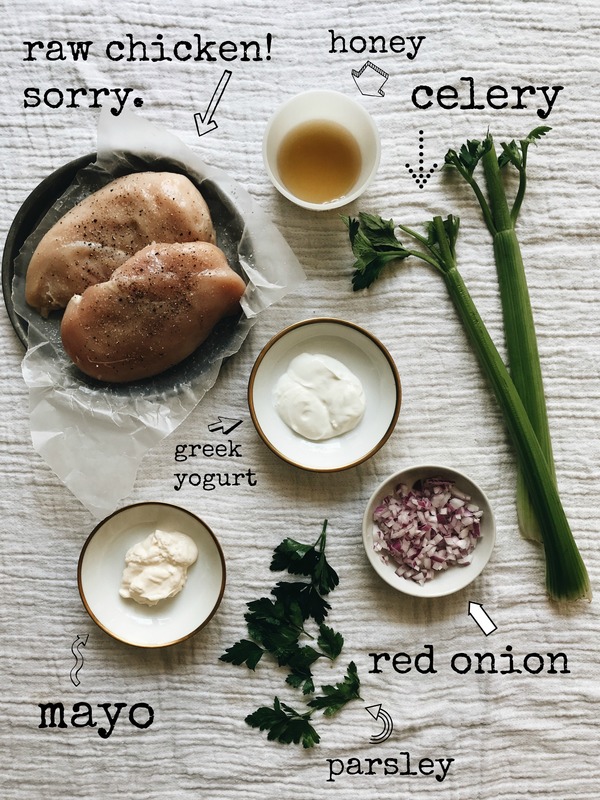 Then add the yogurt, mayo, red onion, celery, honey, parsley, and a good pinch of salt and pepper to the bowl. Toss everything together until coated and creamy and you want to sob. Chill it until you’re ready to eat! 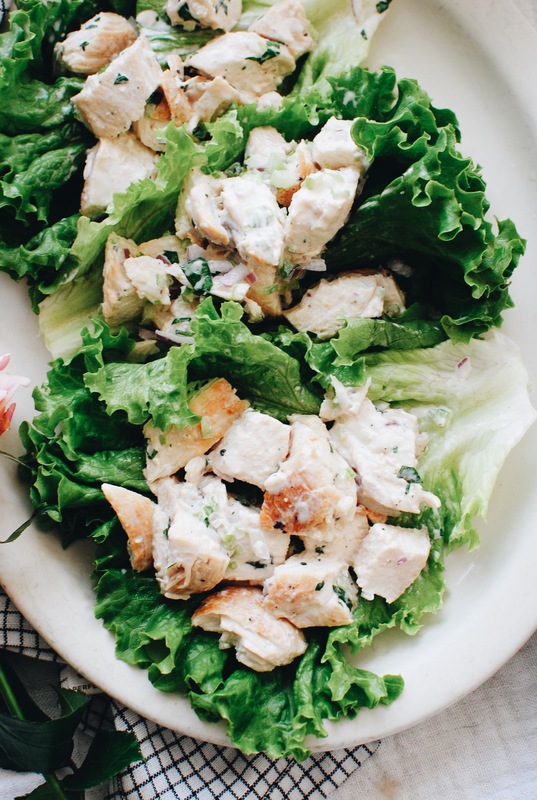 In lettuce cups, on grainy bread - make your life so good. 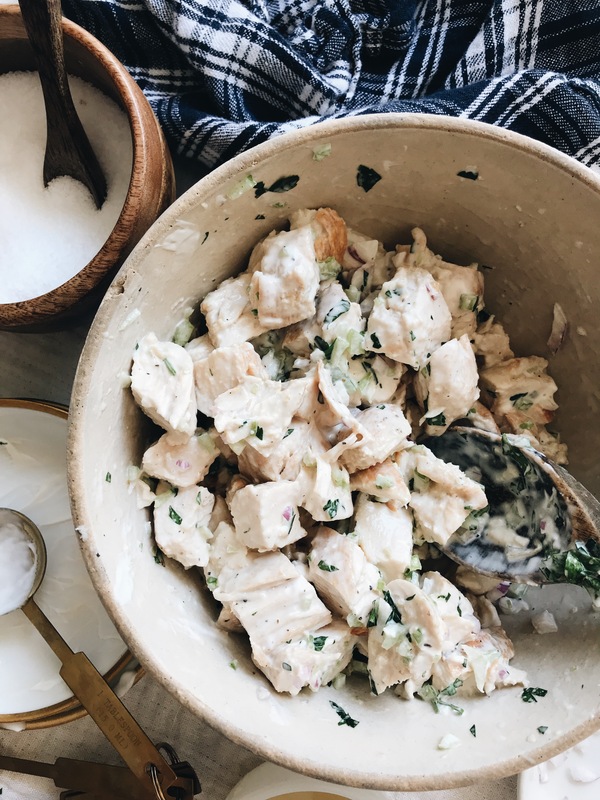 What KC area grocery store serves this chicken salad? I want some, without making it b/c I am the only one in the house that will eat it, but now I must have it. Although, your version is healthier so I should just make it and eat it all b/c it is healthier, so I could just eat it all. I made this last night served on cauliflower wraps, hands down best chicken salad I have ever had. The sear really does set it apart (if you have a cast iron- use it- FLAVA-FLAAA). 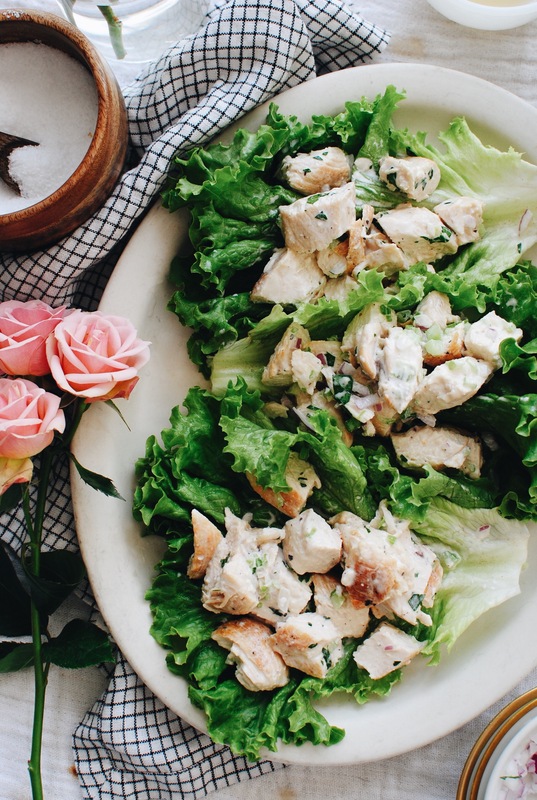 Thank you very much for the recipe, the salad is delicious and balanced, I used to do it a little bit differently, but it turned out to be more delicious and balanced on nutrient matters. Special thanks to you for your submission, I've read a lot of blogging blogs, but the design of your blog is the most pleasant and creative, I wish you success in your business! Honey makes everything better! I put it in my hot sauce and it makes you want to keep eating it! I would like to thank you for the efforts you’ve put in writing this posts. I am hoping the same high-grade blog post from you in the upcoming as well. Great Read, keep working Bev Weidner! Bev! This is bomb.com, just made it, can’t wait to eat it!